Freelance SEO Consultant What Are Links And Why Do You Need Them? The amount of traffic coming through to the site may not even be significant enough to even start tracking sales. The average SEO-educated persons traing of thought is usually – (1) Stick to good practice with regards to your on-page SEO (e.g. Matt Diggity’s guide) , (2) setup your internal linking well – and you can’t go far wrong.. But you’ve probably already done that, right? If you have worked on your SEO for some time, you’ve probably figured, there’s only so far you can take your on-page. once you’ve done your on-page SEO, i.e. changed your title tags, interlinked your pages correctly, inserted keywords in the right places, etc – what do you do next? I mean, you can only optimize your pages for SEO so far. You just need to build more authority right? So the question is – How are you going to dramatically build more authority and get more traffic? Think of links almost as a “vote of confidence” for your site. The more of these votes that search engines see linking to a site, the more likely that site will then rank for a particular search query. When I say high quality – that really means you need to emphasise quality rather than quantity. Not every link is equal and this is the reason why you can rank a page at the top with a handful links from other websites, above a site which has thousands of (low quality) links. That subject of assessing what is low quality and high quality is a discussion for another article – but, simply put you just need to adopt the basic principle that – you want a link from a page which is relevant to your site and is likely to have an audience who would also be interested in your content. Its that simple! Naturally, these search engines will want to rank the most authoritative among the niche group and push it up to the top of the search results list. 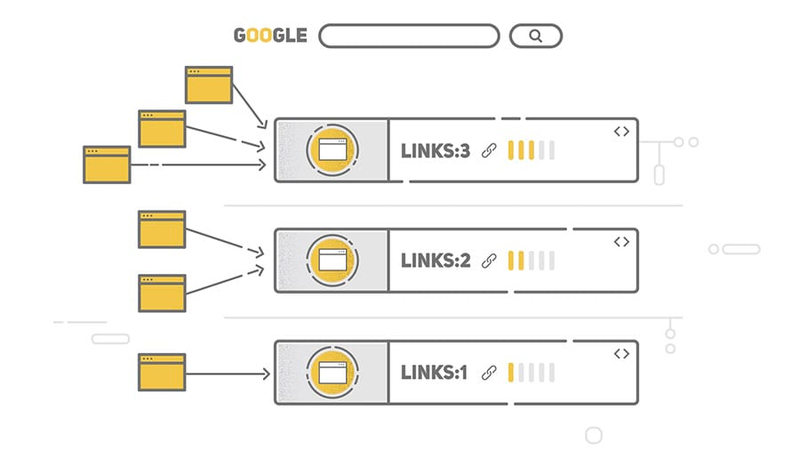 When Google’s crawlbots find your site, it will try to assess whether you have contextual backlinks linking to it. If it does, then the rest should fall into place- you get higher rankings, which means more visibility for your site, which will result in more traffic! Link building is also a very effective way of driving traffic – not just indirectly by improving rankings, but sometimes even more useful is the direct traffic which comes to the site via the links. Not much of a major concern especially at the start of your link building campaign, but as time goes on and you build relationships, your reputation enhances within the industry, brand awareness comes into play and will be an important factor in becoming an authority. Links can occur naturally when someone just so happens across your content. However, not everyone is aware of every single piece of content on the net. If they were, all you’d do is make amazing content, and someone would link – and I’d be out of a job! Building links basically just speeds up this natural process. But the key, key step is to firstly create useful, engaging and informative content. And by reaching out to people who also find it useful, prodding them with your mega-useful content and hopefully getting a contextual link in the process. I’m not saying it’s an overnight process, far from it, but by focusing on creating value and helping your audience or target customers – then reaching out into other areas of the web where they may be browsing, you’ll skyrocket your chances of bringing them onto your website. And then, with time, buying your product! There’s no magic bullet or secret shortcut to knowing exactly what makes something link worthy. But if you offer something which is a mixture (or all) of: authoritative, easy to navigate, solves a problem, aesthetically pleasing, research-backed, etc,etc – then you WILL be successful in building relationships with website owners/editors. It isn’t advertising. And advertorial content will NOT attract any quality links, whether naturally or if you do the most super duper effective email outreach in the world. You also want to refrain from buying large amounts of links. The argument about whether paid or not paid for links is for another day… But, I would say if there are no qualms about the quality of the content, and the website openly admits they accept payment – then I would really question whether you want any links from them. To learn more about links, exactly what kind of links you’ll want to build, check out my other training and articles. But, your take home from this is to think about whether you’re building truly relevant and contextual links. And if the content you are producing right now, is going to continue to help you build those links. After all “your links will only be as good as your website”….